Eko Sky Restaurant and Lounge is sited in the Penthouse of Eko Hotel, the Sky Restaurant has a 'wow' factor that is hard to dispute from the arrangement to the feeling of 'I'm ontop of the World' you get while there. 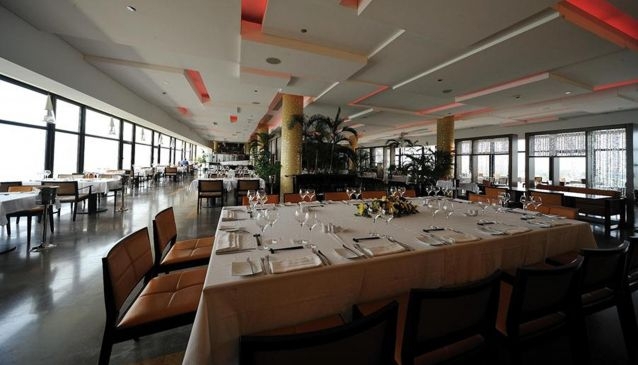 It's about the highest restaurant in the city of Lagos and has a picturesque view of both the city and the Atlantic Ocean. It offers Asian fusion menu delicacies, get pampered by our award winning chef as he performs his art with a fusion of culinary traditions that combines different cuisines from the south-eastern Asian region into a single eating experience.